Blood Measures is an initiative developed by a number of preeminent practitioners in the Blood Sector with the view to facilitating investigations, clinical audits and research into the therapeutic use of Fresh Blood Products. 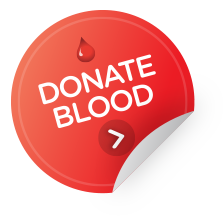 The Blood Measures Guide was made available by the National Blood Authority (NBA) and the Australian Red Cross Blood Service as a draft for comment. Unfortunately, it has not been possible to formally publish the guide as intended, due to conflicting priorities. However, there have been a number of further projects and analysis on the best way to gather and collate data across the blood sector during the elapsed period. The most important of these projects is the sector preparation for work on data linkage to gather information on red cell usage. As work on this project progresses it is likely that the objectives of Blood Measures can be met via other means. The specification of data requirements in the Blood Measures document can be used as a guide, forming the basis for data elements that will be necessary to comprise a national minimum data set and accompanying standards. Additionally, the NBA has increased its technical capacity, implementing BloodNet which provides a valuable platform on which to further develop system capability, enabling the data collection process wherever possible. Following the workshop on Red Cell Data Linkage, held in March 2013 in South Australia, an update will be made available to keep interested parties apprised of developments in this space. This work also contributes to NBA's Sector Performance Indicators.